Real Disruption is a successful conference series that sits at the intersection of new technology and commercial real estate. Each program features founders of various cutting-edge, venture funded technology firms that are disrupting the status quo in commercial real estate. Who should attend? Industry professionals involved in the sourcing, underwriting, financing, development, leasing & sales brokerage, and asset management of commercial real estate. Private equity and venture capital investors interested in the next wave of commercial real estate platforms. Entrepreneurs and property owners looking to further broaden the marketability and uptake of their real estate offerings. The MIT Center for Real Estate has a world-recognized, 33-year history of advancing the art and science of international real estate. Our pioneering research investigates the real estate transaction from initial concept to market reality, allowing us to provide thought leadership that helps organizations around the globe capitalize on today’s dynamic markets and technologies. 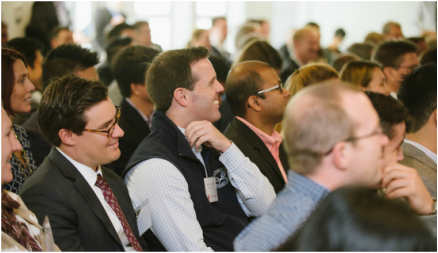 One way we achieve our mission is by convening innovators, thought leaders, MIT’s distinguished faculty, researchers and graduate students at industry events like Real Disruption.